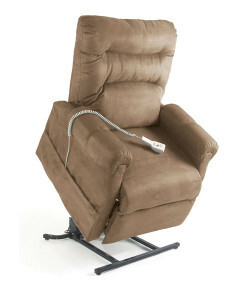 The Topform Ashley Lift Chair is a luxury recliner chair designed with great features including a Tasmanian Oak frame with four optional (37mm) castors, high density foam padded seat and backrest with 3 separate padded horizontal cushions. Australian made. SKU: S2437. Category: Lift Chairs.